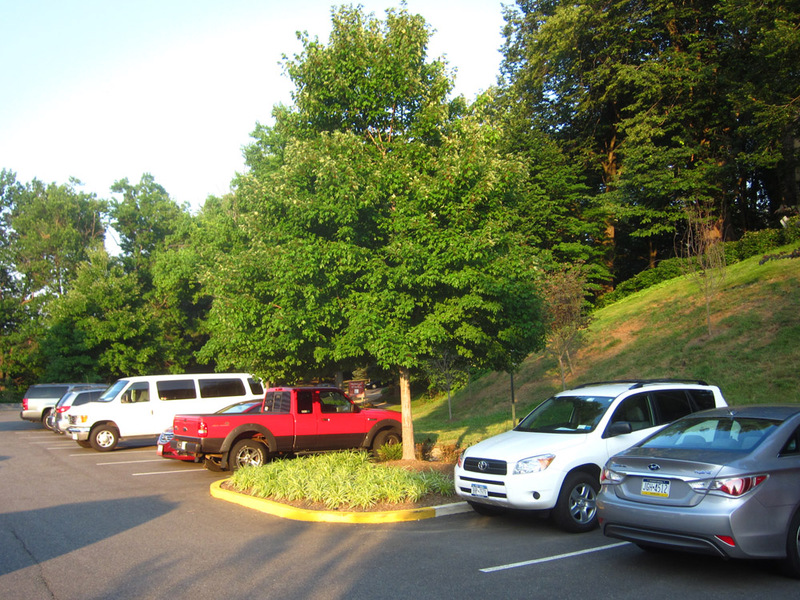 A few years ago, Rosslyn's VirginianSuites replaced roughly ten parking spaces with trees. That was a bold, farsighted move. The VirginianSuites parking lot is now much, much nicer with these beautiful trees. 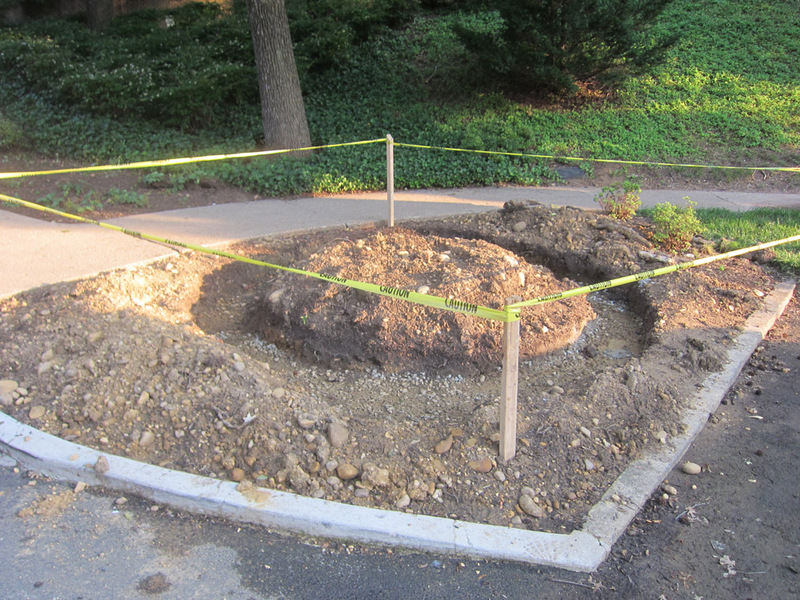 More work is currently ongoing in the VirginianSuites parking lot. 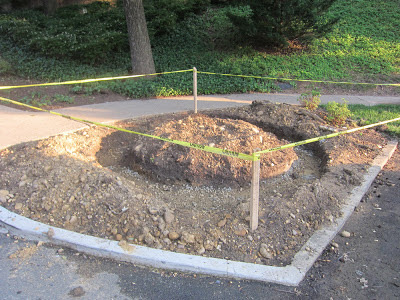 This work will probably provide further natural, green landscaping. Can you afford not to plant trees?